What does the Fragrance of Lilies bring to thought? Lilies symbolize; Innocence, Purity, hope, life and beauty. and the spiritual essence of Easter. 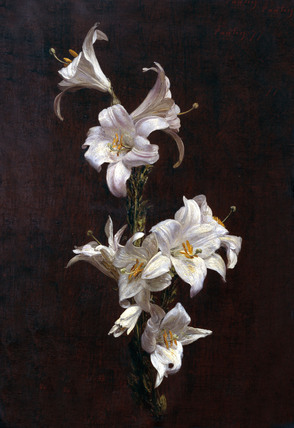 Often called the “White-robed Apostles of Hope,” Lilies were found growing in the Garden of Gethsemane after Christ’s agony. Tradition has it that the beautiful white lilies sprung up were drops of Christ’s sweat fell to the ground in His final hours of sorrow and deep distress. Easter Lilies today, still commemorate the resurrection of Jesus Christ and Hope for life everlasting. Legend also says, that lilies originated with Eve’s tears when the first couple was banished from the Garden of Eden. Keeping this thought and holding “Dear,” I need to ask, why “The Fragrance of Lilies” are here today? We are in the moment of extreme modern times….and our little most seedlings (children ) are learning to grow….they grow, with absorbing the holy light…and love. We feed these littlest seedling (children) with the static energy of electrical evil in nature….and we open the world to them, the world that their eyes should not see….. instead, of nourishing them carefully. What do you hope to attain with this? You will not be able to grasp what is to come with this; sorrow and distress…. Instead you will ask “What Happened?” What happened to my Fragrant Lilly?